Games Workshop, Warhammer, Dungeons and Dragons, Mage Knight, or Necromancer fighting monsters. All are metal. 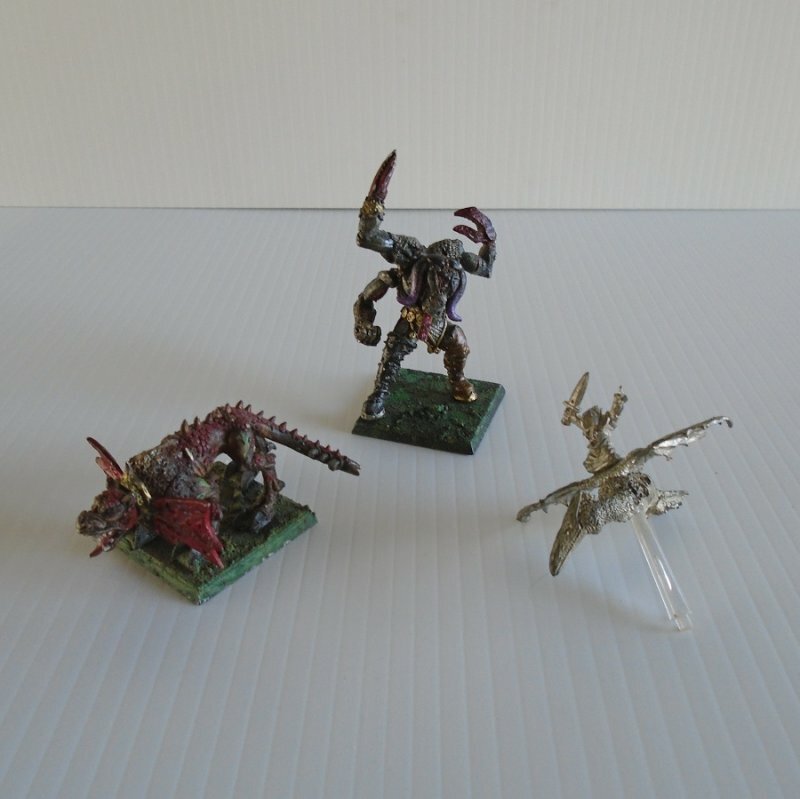 There are 3 figurines, all metal, and 2 of the 3 are painted and on platforms. The 3rd is unpainted and has a stem for inserting into a base, but there is no base. Also, every January the postal service increases shipping charges. We've already received the notice of the upcoming price increase and it's pretty ugly. We've been warned to expect a price increase of .75 cents upward to $2.00 for each package mailed beginning in January. I try to absorb some of the new charges but that's getting harder with each increase.